Tories burn down Canada’s Parliament Buildings: A Tory mob protesting the passage of the Rebellion Losses Bill sets fire to Canada’s Parliament buildings in Montreal. They are enraged because the legislation, passed by the majority of reformers in the legislature, will indemnify supporters of the rebellion of 1837-8, as well as those who opposed it. The rioters first ransack the legislative building, and then set a fire which destroys the parliamentary libraries, the public archives, and then spreads to adjacent buildings, including the general hospital. Firefighters who come to put out the fire are prevented from doing so by the rioters. The following day, Tory gangs attack and vandalize the residences of reformist Members of Parliament. The violence continues into May; it eventually dies down after the British Parliament approves the legislation. That fall, a group of Montreal businessmen, nearly all of them English-speaking Tories, publish a manifesto calling for Canada’s annexation by the United States. The United States declares war on Spain. The pretext for the war is the sinking of the battleship USS Maine in Cuba’s Havana Harbour as the result of an explosion. The cause of the explosion is unknown, but the U.S. seizes upon it as a reason to wage war against Spain and seize Spanish colonies. Spain suffers a series of defeats in the war, and is forced to sign a peace treaty turning over most of its colonies to the U.S. The Philippines, Puerto Rico and Guam become American colonies; Cuba is granted nominal independence, but is subject to American supervision of its government. 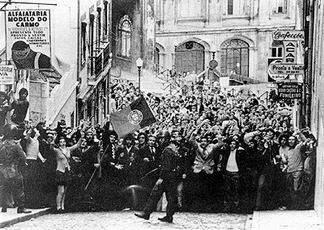 Revolution in Portugal: Military officers in the Movimento das ForA#as Armadas (Armed Forces Movement) launch an attempt to oust the fascist dictatorship which has ruled Portugal for decades. Hearing of the move, people immediately flood into the streets and begin a campaign of popular resistance and civil disobedience which results in the overthrow of the dictatorship. 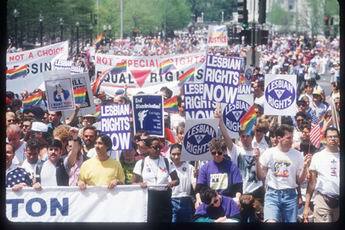 Nearly one million people march for gay rights in Washington. A March for Women’s Lives brings more than one million to Washington, asking for safe and legal access to reproductive service including abortion and birth control.